Gift wrap any of my items! Gift wrapping is on a per-item basis. Ordering more than one item that you want gift wrapped? Simply add a quantity of 2 or more of this gift wrapping service to your cart. 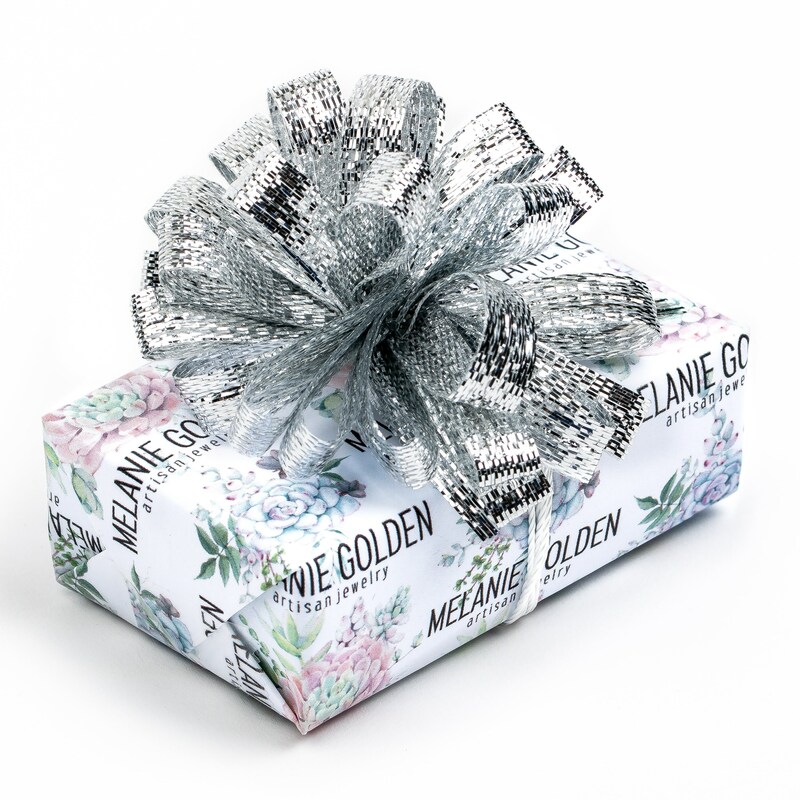 Your jewelry will arrive packaged in a MELANIE GOLDEN JEWELRYmonogrammed jewelry box to ensure protection during shipping and ease of gifting with a black tarnish strip to protect the jewelry from the elements. Jewelry care information is also included. G I V I N G - A - G I F T ? 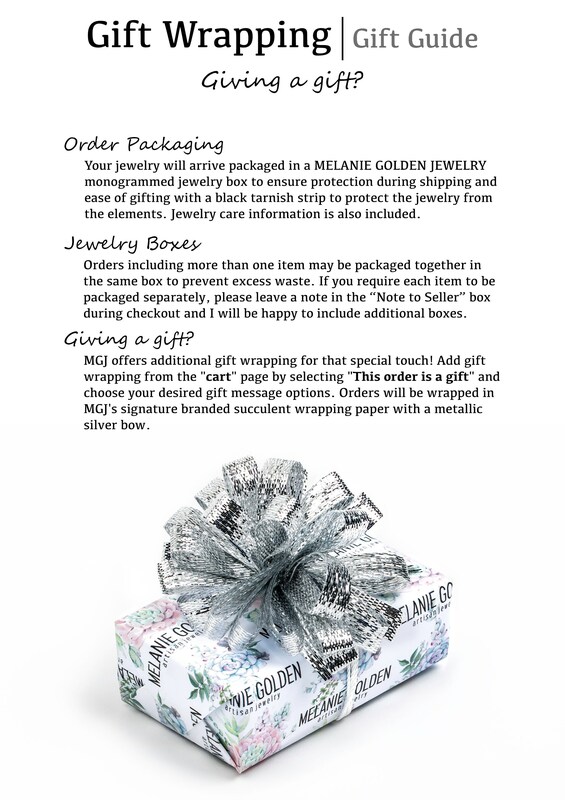 MGJ offers additional gift wrapping for that special touch! Add gift wrapping from the "cart" page by selecting "This order is a gift" and choose your desired gift message options. 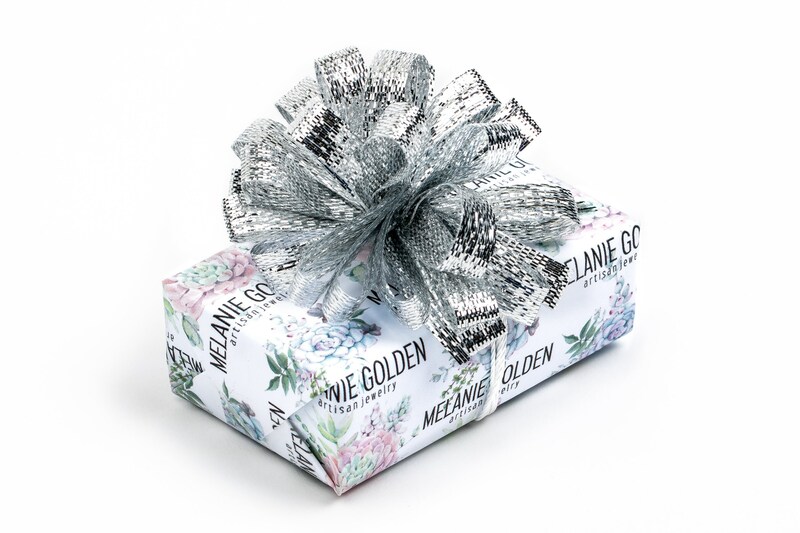 Orders will be wrapped in MGJ's signature branded succulent wrapping paper with a metallic silver bow. Gift wrapping is on a per-item basis. Ordering more than one item that you want gift wrapped? Simply add a quantity of 2 or more of this gift wrapping service to your cart.